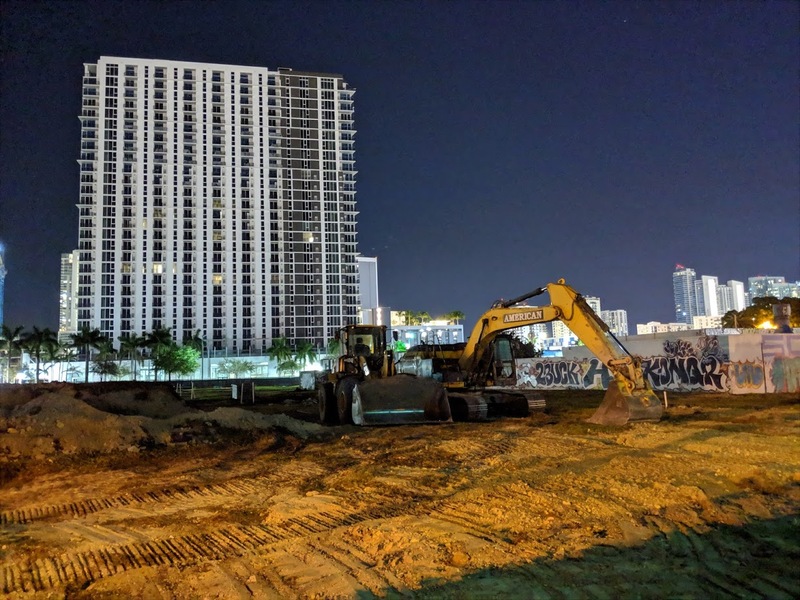 Crews have demolished the foundation of what was once planned to become a Walmart superstore in Midtown Miami. In early 2014, Walmart closed on the purchase of the property at 3055 N. Miami Ave, after submitting plans to build a store. Walmart’s Midtown Miami store would have been three stories, with retail and liner retail on the ground floor, and two levels of parking on the second and third floors. Although the store was approved by Miami’s Planning & Zoning Department, the city wouldn’t issue construction permits. A phased permit for the foundation was issued in 2016, but it was later revoked and Walmart halted work. 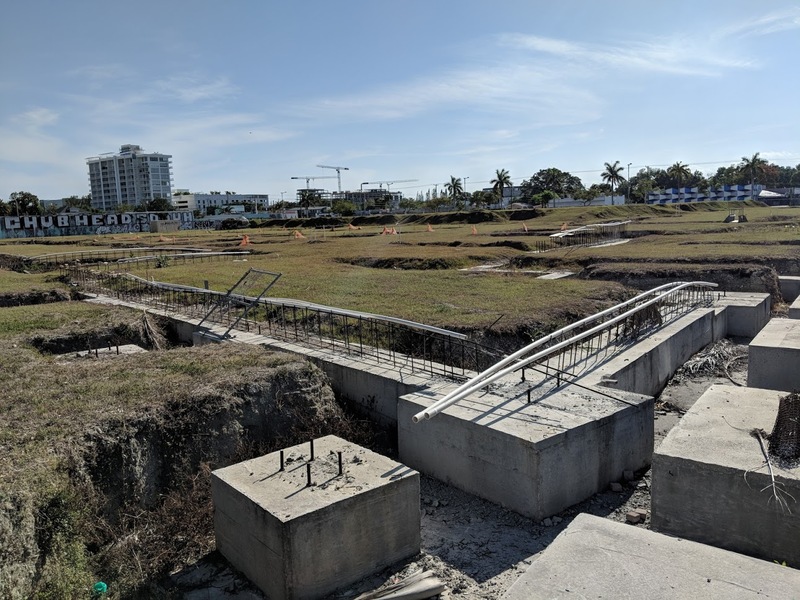 Some of the land that the store was proposed on is controlled by the Midtown Miami Community Development District and Midtown Opportunities, which owns land throughout Midtown. The two would have needed to have signed a unity of title in order for a construction permit to be issued by Miami’s building department. In February, demolition began at the site after the skeletal remains of the foundation sat in place for three years with no activity. NYSE-listed Site Centers Corp. (formerly DDR Corp. and Developers Diversified Realty, Inc.) has the right of first refusal to repurchase the land if Walmart does decide to sell. The company owns The Shops at Midtown Miami and sold the property to Walmart. And a Willy Wonka Chocolate Factory. And Starbucks, one at each corner. CVS and Walgreens, of course. More Apartments like Midtown 8 and 5 would fit great on that lot. This spot should have hundreds of housing units on it. At first, I was going to say “thousands” but I kinda felt thumbs down votes would’ve probably rained down on me for that… but, you’re right. What Community? MIDTOWN and EDGEWATER CONDO owners that moves in the last decade right? Cause I am certain not those in Little Haiti or Wyndwood? Target is a bit above the price point. Target is expensive? I’m poor AF and still love Target. What makes the area trashy is all the peasants with money! Before the IKEA was built by the turnpike out west I thought this would be the perfect spot. 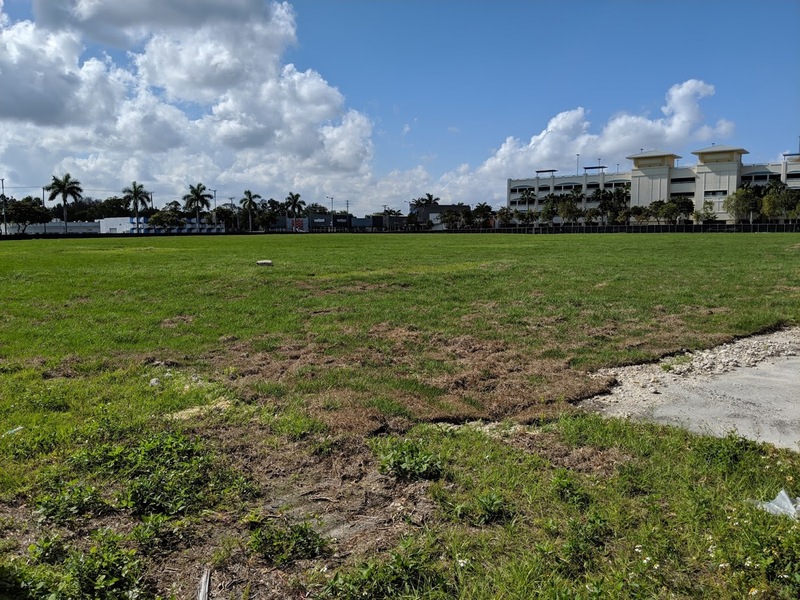 There are so many small apartment buildings on the beach and in central Miami, it would have been a perfect fit, because that’s their niche. Could always build residential on top of any retail like a lot of Midtown already does. Just hope it doesn’t sit empty for years on end now. They should just make this lot a nice shade park and call it a day, and a service to the area. And then all we’ll hear is “park people” like you complaining about homeless people sleeping there. Walmart would have been great there, now we have these dumbasses shouting for a trader joes like they are that good. Presidente or Sédanos will fit nicely. Why is there not a single LA fitness in Downtown, Park West, Edgewater, Wynwood, Midtown, Southbeach, Upper East Side with a million people? Call up the LA Fitness organization and ask them. This forum is about new and future developments. Target good, walmart bad. Even though their both similar and both hurt local stores. No Walmart actually hurts local businesses and Target is already there and businesses around it are thriving. Walmart wanted to open a Megastore in an area where people desperately want Traders Joe. Melo should just build a few towers on the land!! NThis deserves higher quality units and better architecture. No shade on melo, this just isn’t their product type. Melo Super Basic Architecture doesn’t fit in Midtown. I don’t think Midtown 5, 6, 7, or 8 are going to win any design awards.. plus it’s kind of expensive to live in these buildings. Yeah Melo, build some more ugly towers! How about a spot for ULTRA!!!!! Yes. How about a movie theater and a Trader Joes. Good riddance. Walmart can sell the site and open five new stores in Doral with the money. I rather have a Trader Joe’s. The renderings look better then Fartget! Can we get an IKEA? That would be swell!!! A Home Depot is needed right here. Good news! Walmart does not fit there. A nice park would be great, but that is impossible since that land is a big opportunity for a development. I would suggest A whole Foods with residential units above, just like downtown Miami.